← Equus africanus asinus. The day the donkeys came to visit. 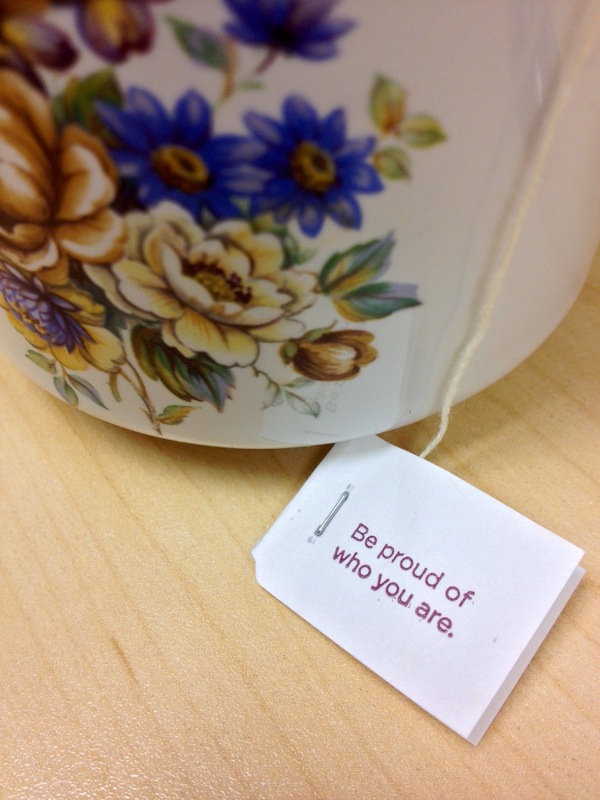 The words on your tea tag match your teacup. Have a great Friday!